iOS: There is no shortage of apps for writing down your thoughts, but many writing and note-taking apps suffer from feature bloat that impedes the actual writing. 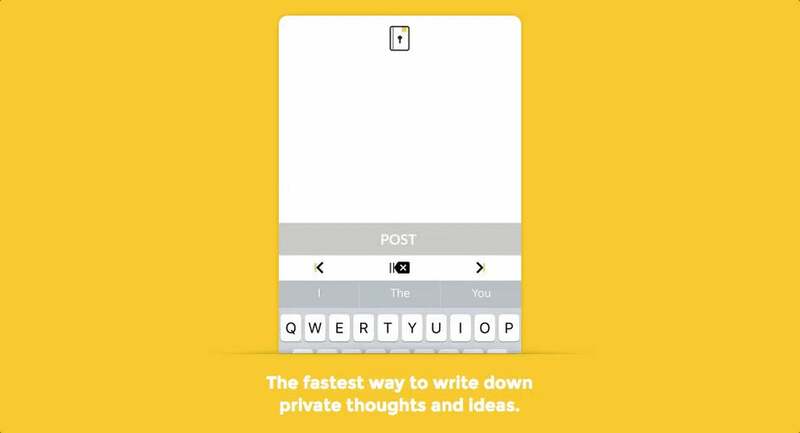 Just Open & Type forgoes the unnecessary stuff and lives up to its name. Just Open & Type, or JOT for short, is not for all types of writing. It's really for when you just want to write a sentence or two immediately, like a fleeting thought that might otherwise end up scrawled on a napkin. Every time you open the app you are immediately faced with a keyboard and blank screen, so you don't even need to do anything to create a new note. For an added layer of privacy, all your previous notes are behind a four-digit passcode in a chronological day-by-day breakdown. The app, from designer Pedro Wunderlich, is still pretty early in its development and does lack a few key features — there's no way to export your notes, although he's considering iCloud sync, and personally the passcode feels unnecessary since my phone is already locked down. But for just getting something down quickly, it works.